So today we started the hams down their months long process of going from raw meat to smoked hams. 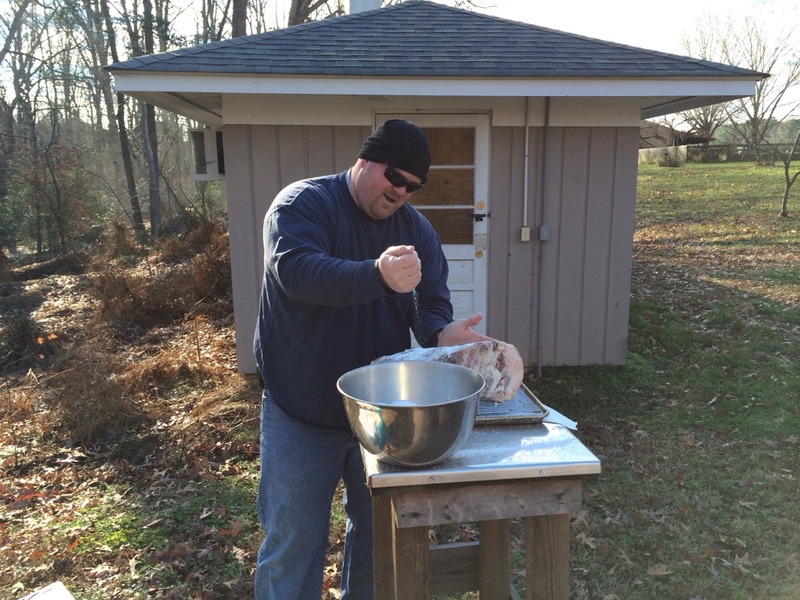 Here you see inmate Brian salting the last ham. We had a total of 76.6 pounds in the four hams. Ham #1 is 12.4 pounds. Ham #2 is 11 pounds. Ham #3 is the big boy at 38.6 pounds. Ham #4 is 14.6. All were coated in salt and insta-cure #2. There was 3 1/8 oz of insta cure in the mix and that was enough for two complete coatings.